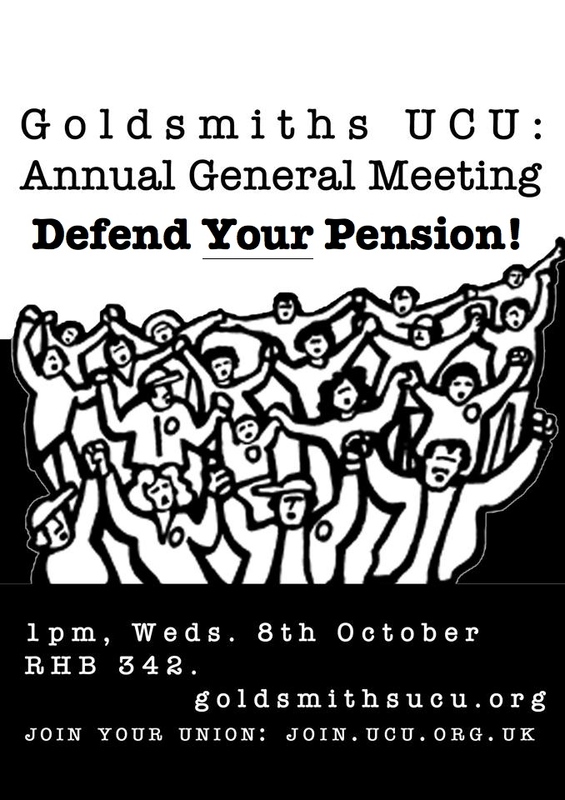 This year’s Annual General Meeting takes place on Wednesday, Oct. 8th at 1pm in RHB 342. Call for exec. nominations is now open – please email gucu-admin@gold.ac.uk with any nominations. This will also mean your pension will be worth less than that of someone on the same salary and working in a new university but who is a member of the Teachers’ Pension Scheme (TPS) rather than USS. Even allowing for higher contribution rates in TPS, the difference is startling. Someone aged 40 with 15 years’ service who retires on £45,954 would have an annual pension worth 56% more in TPS than in USS. All departmental reps are also up for re-election. There are currently vacancies in Anthropology, Computing, Design, History, Media & Comms, Marketing and Music. UCU have called a national day of action against casualisation on the 5th of November – see http://www.ucu.org.uk/stampout for more information. As well as being a significant national issue, this is important for us as a branch as we need to make sure that the terms of the agreement that the union negotiated for hourly-paid staff is kept to by every department.